"The government’s aid package for news organizations is trying to solve the wrong problem." This story was originally published by The Logic and appears here with its permission. I anguished over whether to weigh in on last week’s $595-million government-aid package for journalism because it’s deeply personal for me. I’ve spent almost 20 years in traditional media, studied disruption theory in academia and now, I’m an entrepreneur trying to play a part in journalism’s future. I’ve gone through staff rosters with a red pen deciding who would be eligible for a buyout or be laid off. I’ve faced hiring freezes and been forced not to give holiday bonuses. I’ve watched journalists—far more accomplished than I will ever be—cry in my presence as I terminated them without cause, giving them nothing more in return for their years of service than a small severance. I am well aware of the cold, harsh realities of our craft. And yet, in spite of this, I still don’t think government intervention was needed. Others have already expressed some of the trepidation from journalists around the idea of a panel of media experts deciding what criteria define credible journalism, so I’ll leave that aside here, and suggest you read Paul Wells’ and Andrew Coyne’s arguments on the subject. Regular readers of this column will know that I started The Logicearlier this year because I was frustrated by the lack of innovative approaches to journalism in Canada compared to other countries. Now, unless careful thought is given to the implementation of this policy, there will be even fewer. I founded this publication on the belief that journalistic independence comes from financial independence. But while I’d love to stand on principle, if I don’t apply for these grants, I will be putting The Logic at a severe disadvantage in retaining talent and securing investment in a marketplace distorted by government intervention that rewards incumbent firms. The news media is not the aerospace industry or the oil patch. In fact, journalism isn’t an industry at all. Freedom of the press is a fundamental right of our Charter that is as essential to our democracy as the court system and elected office. It’s a craft that any citizen can do. It is not, and never should be, considered an industry. And so, framing the analysis as the “consequences of news media concentration and the erosion of local news reporting”—as the Standing Committee on Canadian Heritage did in its final report—leads to trying to solve the wrong problem. It’s not too late for well-intentioned policymakers to get it right. In the spirit of advancing the conversation, here are seven ideas on how this policy can be redirected to better ensure it addresses the right question. 1. Make the labour tax credit formula predicated on a company’s commitment to original reporting, not just the size of their newsroom. That could be done by including variables in the formula like the ratios of newsroom staff to overall operating budget, and original reporting to syndication and opinion content. The formula should reward publications that allocate more relative capital to journalism than to production, administration and overhead. And, like the periodical fund, the credit should be capped at $1.5 million per publication. 2. Put the consumer tax credit for digital subscriptions upfront by exempting sales tax on digital subscription purchases and making the subscription credit available only for Canadian-owned publications. That way, subscribers to Canadian news sites are afforded the same treatment they get when they subscribe to foreign news sites, such as The New York Times, where their subscriptions are already tax-exempt. This also saves subscribers the hassle of waiting for their annual tax returns (by which time they’ve probably lost the receipt for their purchase), and saves the Canada Revenue Agency the administrative burden. 3. 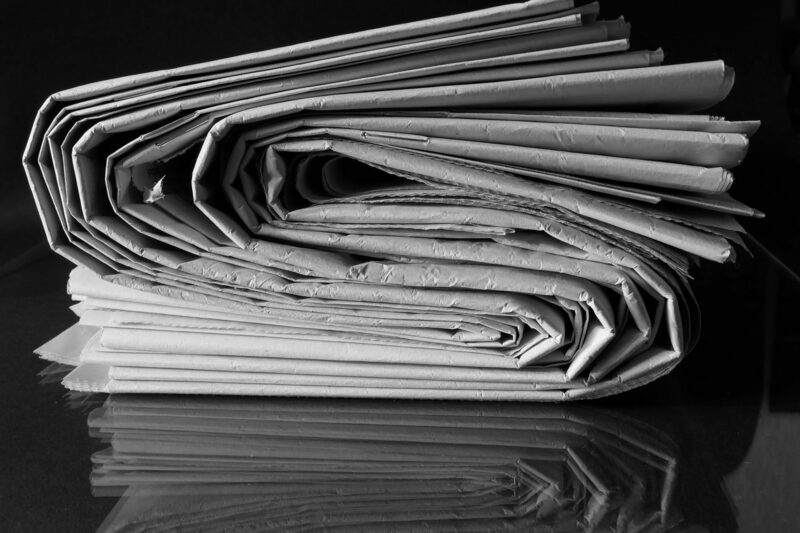 Limit charitable receipts for journalism to those organizations that commit a majority of their operating revenues to journalism, defined as staff dedicated to reporting news. A high threshold will prevent non-journalistic entities—whether NGOs, or, heck, funeral homes—from creating shadow journalism publications. The Ontario Media Development Corporation Tax Credit, for example, was supposed to help journalism was ultimately scrapped in part because it was being abused by non-journalism entities. 4. Set up procurement practices within the federal government that allow for bulk department subscription purchases. 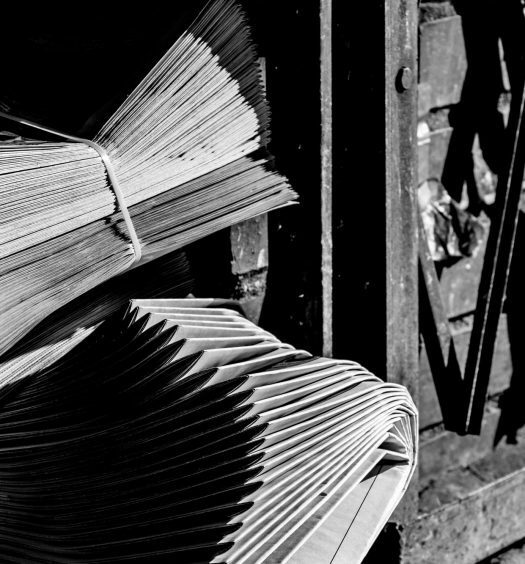 Government departments currently subscribe on a one-off basis to different publications, and getting the necessary approvals to do so is cumbersome and inefficient. A centralized purchaser would reduce overhead on both sides. Cap the subscription at 365 days; if a department doesn’t like the product, they can cancel after the year is up. Providing cash flow upfront for news services would be a boon to innovative journalism outlets and force them to be judged on merit. 5. Create an impact investment fund, run at arms’ length from the government and government-appointed media panels—like the Business Development Bank of Canada is for startups—to invest in promising journalism ventures with the expectation that they will provide modest but real returns on investment. Foundations or sources of capital with an interest in journalism should be encouraged to make similar investments, perhaps by reforming the tax code to allow impact investments in seeding journalism startups across the country. 6. Reform access-to-information laws and processes, which, in Canada, repeatedly rank on international lists well below countries like Afghanistan and El Salvador. The current system is an embarrassment to a democratic country, and is expensive for both governments and news organizations alike. Anyone who knows where and how to look can do journalism. 7. Bring the CBC into the conversation. 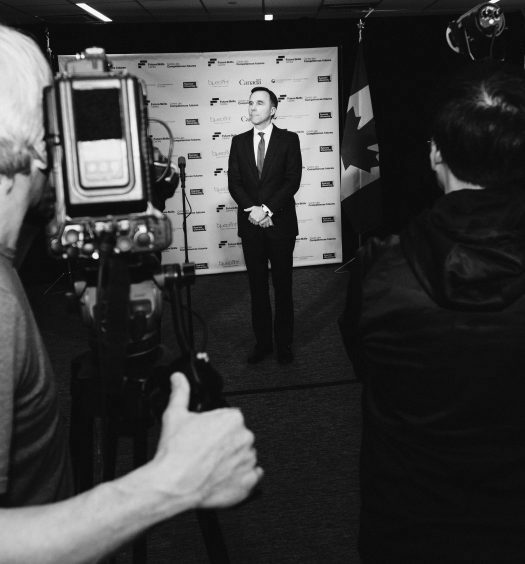 The future of Canada’s public broadcaster should not be a mutually-exclusive policy conversation that exists outside of the journalism policy framework. The two are inextricably linked. Where market forces have failed, long live the CBC. Where the CBC can amplify emerging models, they should cite and link away. Competition predicated on market forces is one thing. Competition that comes as a result of a distorted marketplace is another thing entirely. The Logic should be judged by the quality of our work, not by the quality of our lobbying efforts. Meanwhile, we’ll keep striving to earn your respect and trust every day by producing journalism that’s worth paying for, period. That remains our focus. Now back to work. Disclosure: While I’ve never lobbied a government official, I’ve recently had one background conversation with a Canadian Heritage department official. Additionally, when I worked at The Boston Globein 2016, while the Standing Committee on Canadian Heritage was deliberating “On the Media and Local Communities,” I reached out to political staff in the Prime Minister’s Office and the Department of Canadian Heritage, and to representatives from the committee, to offer assistance on the report. I was not invited to participate in the process.